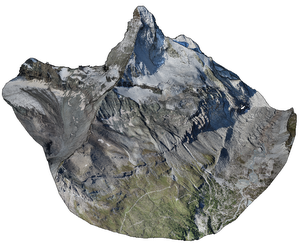 This thesis introduces Potree, a web-based renderer for large point clouds. It allows users to view data sets with billions of points, from sources such as LIDAR or photogrammetry, in real time in standard web browsers. One of the main advantages of point cloud visualization in web browser is that it allows users to share their data sets with clients or the public without the need to install third-party applications and transfer huge amounts of data in advance. The focus on large point clouds, and a variety of measuring tools, also allows users to use Potree to look at, analyze and validate raw point cloud data, without the need for a time-intensive and potentially costly meshing step. The streaming and rendering of billions of points in web browsers, without the need to load large amounts of data in advance, is achieved with a hierarchical structure that stores subsamples of the original data at different resolutions. A low resolution is stored in the root node and with each level, the resolution gradually increases. The structure allows Potree to cull regions of the point cloud that are outside the view frustum, and to render distant regions at a lower level of detail. The result is an open source point cloud viewer, which was able to render point cloud data sets of up to 597 billion points, roughly 1.6 terabytes after compression, in real time in a web browser. San Luis Obispo County coast: Around 17 billion points. 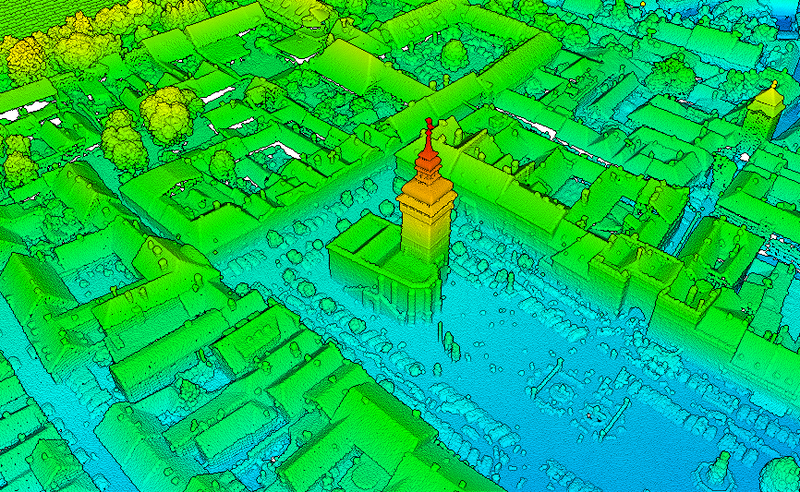 Point cloud courtesy of Open Topography and PG&E. Matterhorn: Around 280 million points. Point cloud courtesy of Pix4D. Retz: Point cloud courtesy of Riegl.